Malá ukázka parametrů pro příští sezonu. [07.07.2017 0:04:47] - Colin White was added to Blue Jackets. [06.07.2017 23:25:12] - Shawn Horcoff was released. [06.07.2017 23:25:12] - Blue Jackets paid 0 Kč to release Shawn Horcoff. [24.06.2017 13:45:33] - TRADE : From Flyers to Blue Jackets : Marian Hossa (68). [24.06.2017 13:45:33] - TRADE : From Blue Jackets to Flyers : Yannick Weber (63). [18.06.2017 20:00:43] - Nikita Filatov has been added to Blue Jackets. [18.06.2017 19:58:43] - Alexander Urbom has been added to Blue Jackets. [24.05.2017 22:05:39] - Cleveland Monsters was eliminated at round 3 of year 16. 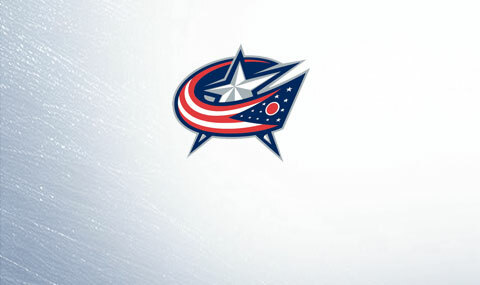 [28.04.2017 23:11:01] - Blue Jackets was eliminated at round 1 of year 16. [28.04.2017 23:10:52] - Shawn Horcoff has been selected as captain for Cleveland Monsters. [28.04.2017 23:10:52] - Unknown Player is no longer captain for Cleveland Monsters. [14.04.2017 22:10:42] - Jonathan Toews has been selected as assistant for Blue Jackets. [14.04.2017 22:10:42] - Brian Gionta is no longer as assistant for Blue Jackets. [06.07.2017 23:25:33] - Blue Jackets paid 0 Kč to release Shane O\'Brien. [06.07.2017 23:25:33] - Shane O\'Brien was released. [07.07.2017 0:04:38] - Michael Amadio was added to Blue Jackets. [07.07.2017 0:04:22] - Andrew Mangiapane was added to Blue Jackets. [07.07.2017 0:04:05] - John McFarland was released. [07.07.2017 0:04:05] - Blue Jackets paid 0 Kč to release John McFarland. [07.07.2017 0:03:58] - Jerry D\'Amigo was released. [07.07.2017 0:03:58] - Blue Jackets paid 0 Kč to release Jerry D\'Amigo. [07.07.2017 0:03:46] - John McFarland has been added to Blue Jackets. [07.07.2017 0:03:40] - Jerry D\'Amigo has been added to Blue Jackets. [06.07.2017 23:25:52] - Blue Jackets paid 0 Kč to release Drew Daniels. [06.07.2017 23:25:52] - Drew Daniels was released. [06.07.2017 23:27:20] - Richard Nedomlel has been added to Blue Jackets. [06.07.2017 23:27:29] - Blue Jackets paid 0 Kč to release Richard Nedomlel. [24.06.2017 13:45:32] - Marian Hossa was added to Blue Jackets. [06.07.2017 23:27:29] - Richard Nedomlel was released.